I know pretty much what our monthly bills will be--the electricity is the only thing that varies, and that comes every couple of months, so I just figure on 50 euro a month for that. It's not been that much yet, so that works. Because I know how much we need to leave in the bank, we can take out the cash we need and that's what we use. One thing I noticed right away was how tiny the tills in the grocery stores are. I've been in a lot of grocery stores and worked retail a few times over the decades and I am used to the big, flat tills with slots for all of the bills to lay down flat. here they are tiny, little metal rectangular boxes that have space for the coins and spaces for the bills to stand up on the long edge. This can be done because the bills are different colours and sizes, with the size increasing as the denomination gets larger. It's easy to see at a glance what you have. 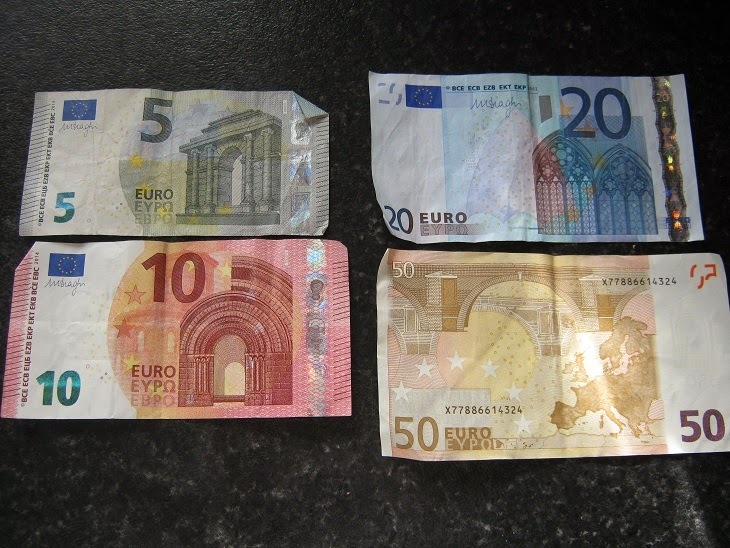 They have 100 and 500 euro notes as well--we had some when we got here, but the larger notes are not as readily accepted--we had to use the 500 euro note to pay our security deposit on our apartment because no bank would change it for us. The people in the office commented that they don't usually see those. 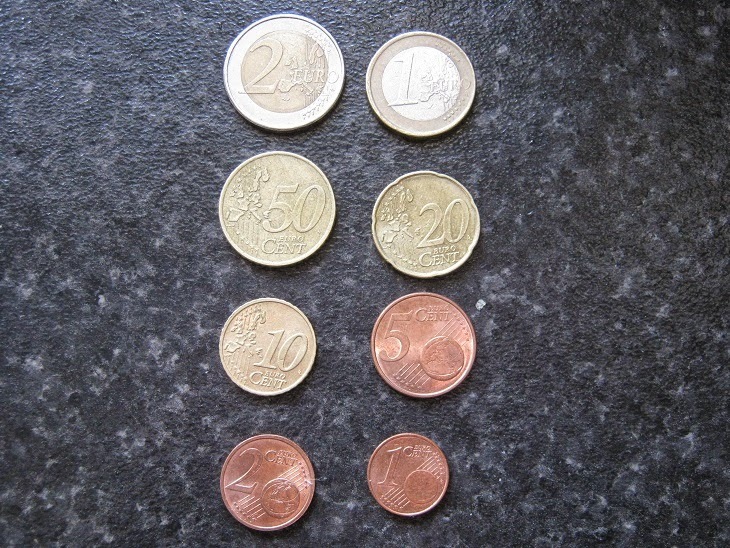 There are no 1 euro notes--they do that in coins. There's a 2 euro coin, too--change accumulates quickly. 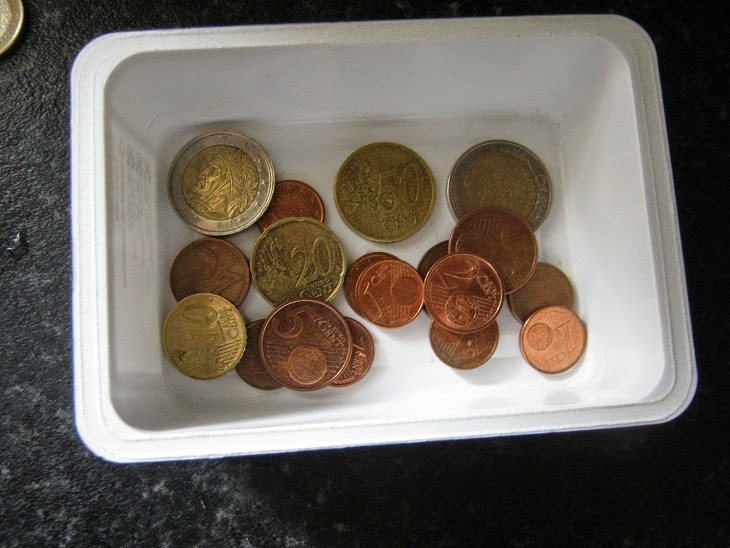 Someone told us that she has a container where she throws all her 2 euro coins at the end of each day. When she goes on holiday, that's a good part of her spending money. She said it's amazing how quickly it adds up! We toss our change into a small container and when we get a text from the library saying a book is in, we take the 1 euro per item fee from the container. This currency took some getting used to at first--we had to examine all the coins to see what we had as we were paying for something. But now it's easy to differentiate. It doesn't seem so much like play money anymore! 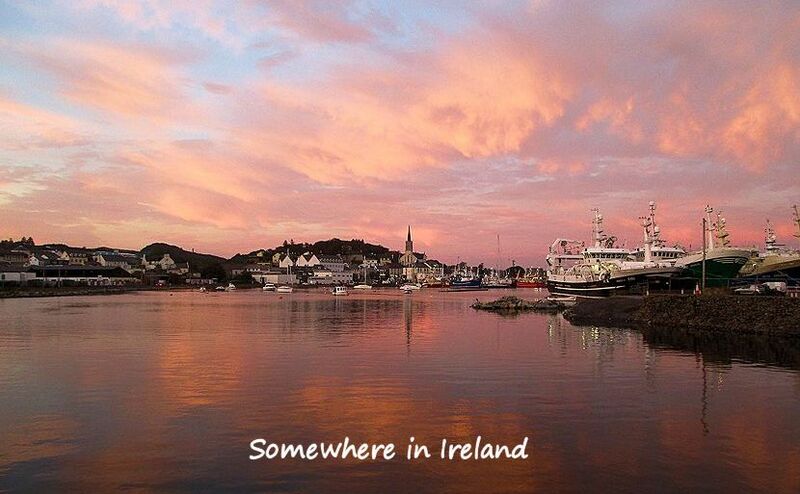 Love your blog and always look forward to new postings. So interesting. Thanks for your effort and time. Yes, we are those people! I've sent you an email!